I am a sucker for a double “make-do” and this one delivers a one-two punch! 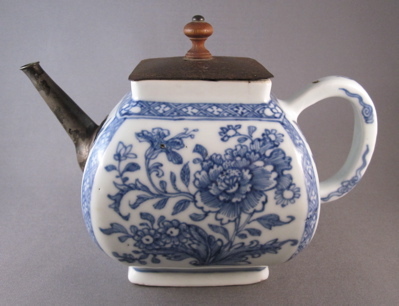 This thick-walled porcelain teapot was made in China during the Yongzheng period (1722-1735) and boasts an unusual square-paneled, bombe form. 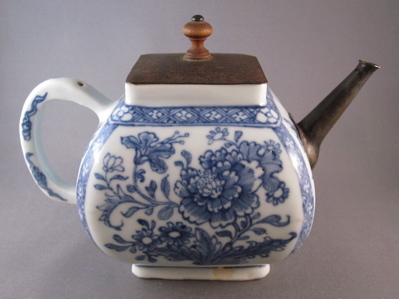 It is delicately decorated with a blue floral motif and measures 5″ high by 7″ wide from spout to handle. 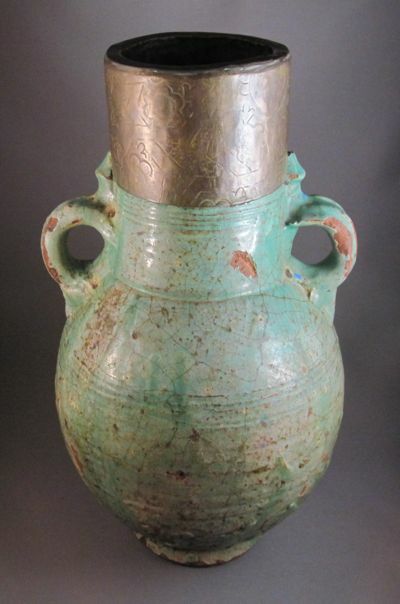 At some point in its early life it was regrettably dropped, breaking the spout and rendering it unusable. 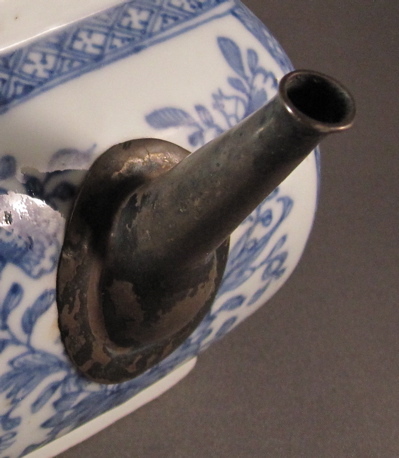 Luckily a silversmith was able to fashion a finely made replacement spout and once again the tea flowed. That is until many years later when the lid dropped. 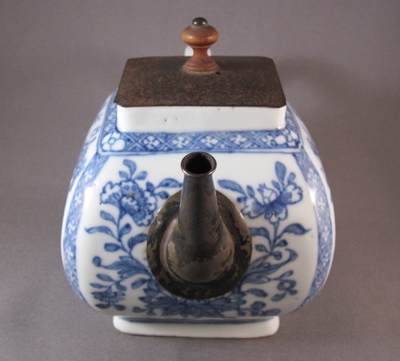 This time a tinsmith created a new metal replacement, incorporating a small turned-wood knob as a stand-in finial. 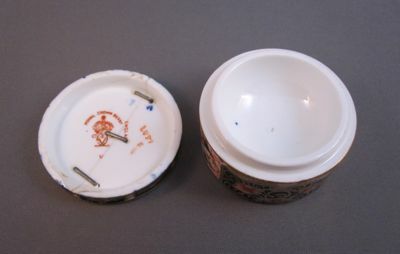 The replacement lid is much cruder than the new spout and I believe about a century separates the two repairs. 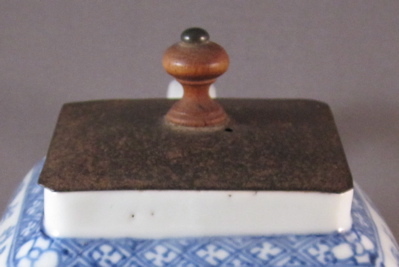 Although I pity the people who let the teapot and lid slip from their grasps, I am glad the owners had the good sense to remedy their unfortunate situations and repair both pieces in such an interesting fashion. 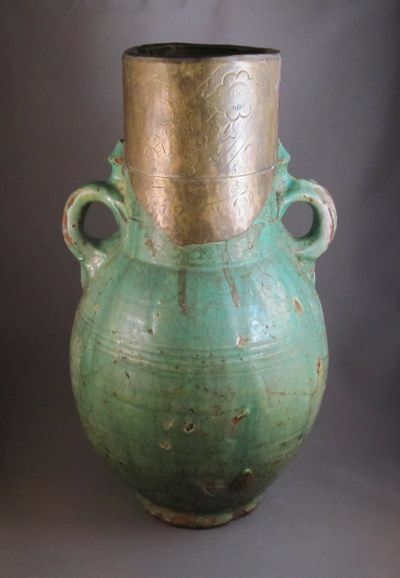 I purchased this large and extremely heavy ceramic vessel about one year ago from a dealer who knew absolutely nothing about it. In the ensuing months, I have tried my best to research its country of origin and age, only to come to a screeching halt. A friend who works at the Metropolitan Museum of Art forwarded the photos on to a couple of experts in their fields and the results were less than satisfying. 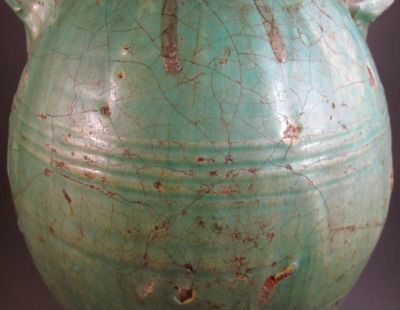 His response was: “The Islamic folks think it looks Ancient Near Eastern and the Ancient Near East folks think it looks Islamic”. 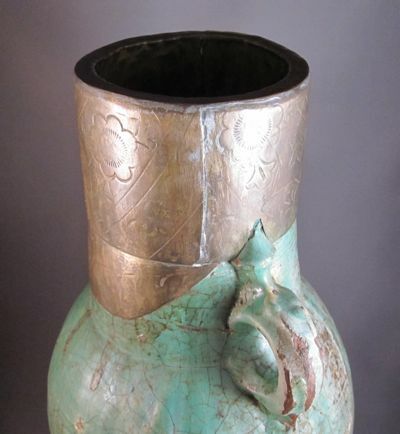 I then sent the photos to a collector of ancient Chinese ceramics living in Hong Kong who had this to say: “…my personal thinking it maybe an old piece, possibly around Yuan-Ming 14th-17th century from the cutting of foot rim, glaze and the shape. 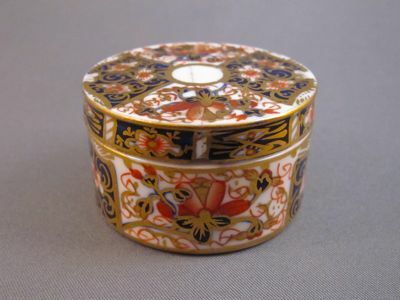 You can imagine..how much there we spent times and money just to repaired by brass to mouth rim. We must used logically consideration. 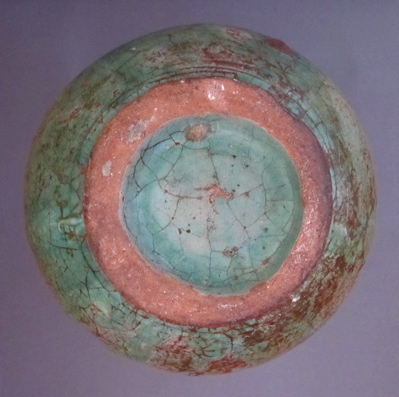 Last but not least, I predicted it’s from some kind small kilns in China which just a few people can identified…”. Hmm. 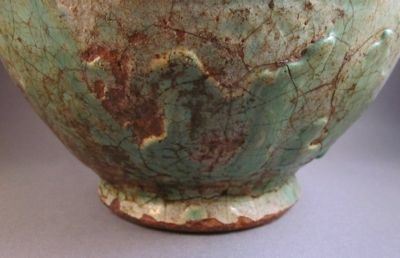 These are the facts I do know: the vessel has a distressed green crackle glaze over a red clay pottery body. 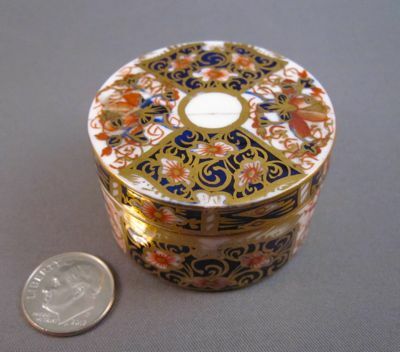 It measures 14″ high, has an opening of 4-1/4″ and is 8″ wide from handle to handle. 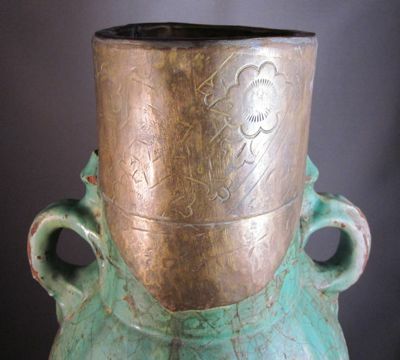 An asymmetrical brass collar with an incised floral pattern is covering most of the neck, presumably masking a damaged top. 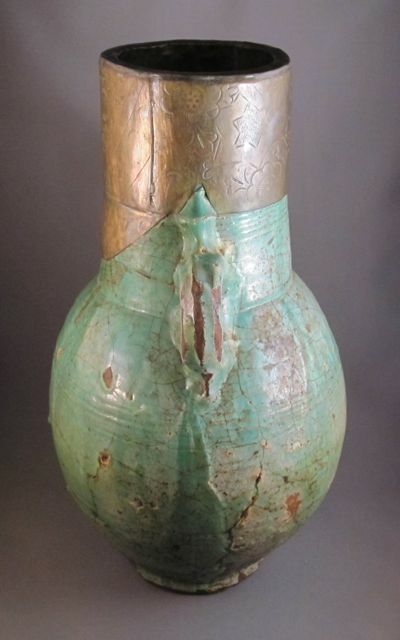 As far as the repair goes, it seems to be of Middle Eastern design, possibly Turkish. I would greatly appreciate any information anyone may have to help me identify this truly puzzling piece. 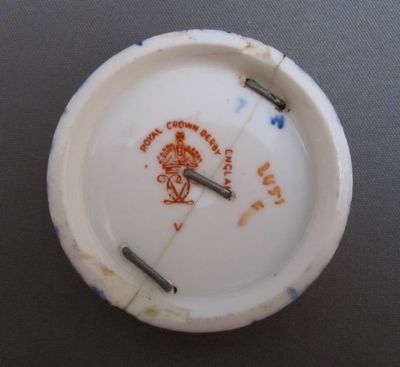 This whimsical yet simple double repair gives a new meaning to Yankee ingenuity. 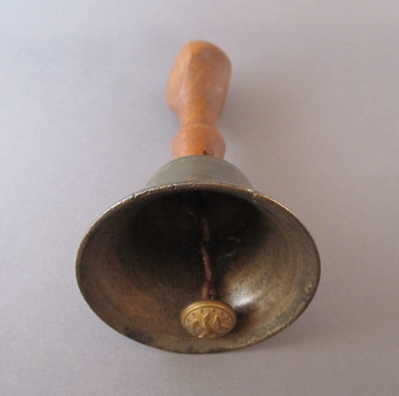 What do you do when both the handle and the clapper of a small brass bell from the early 1900s are no longer functional? 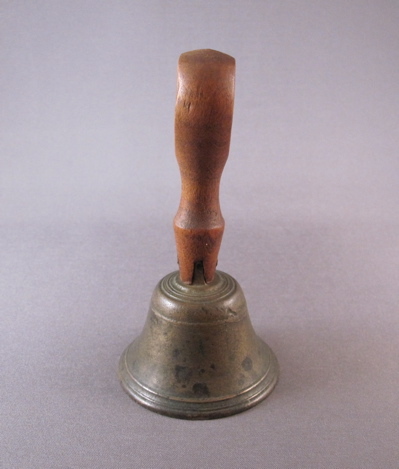 First you grab a wooden handle from an old rubber stamp and reattach it to the crown of the bell. 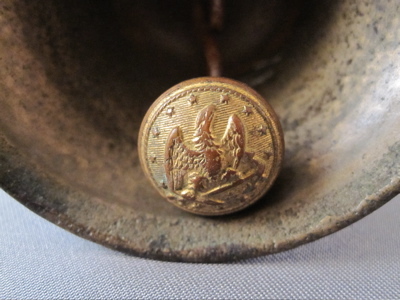 Then you find a brass Civil War Navy uniform button and fasten it to the inside of the bell, which is just what an enterprising person did to their broken bell in New England sometime in the early part of the 20th century. 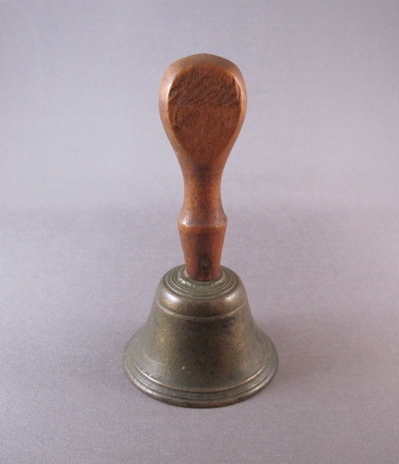 So thanks to them, I am now able to ring in the new year with my make-do bell. Happy 2013!